Weird but it's true, there are really times when I wish for a traffic. In a one particular jeepney ride, I was able to ride a jeepney with a reckless driver. By far it was my fastest jeepney ride. My one to two-hour ride became 30 minutes only or less I think. The speed of it made me feel nauseated. 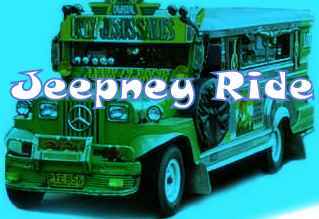 The jeepney would turn left or right whenever it is possible. During the whole ride I kept on praying and wishing for a traffic so that the speed of the jeepney would be regulated. A traffic in every corner would refrain the jeepney driver from overspeeding. No matter how fast my jeepney ride had been, I am grateful to be able to arrive safely and in one piece. I hope I could not be able to ride that jeepney again.